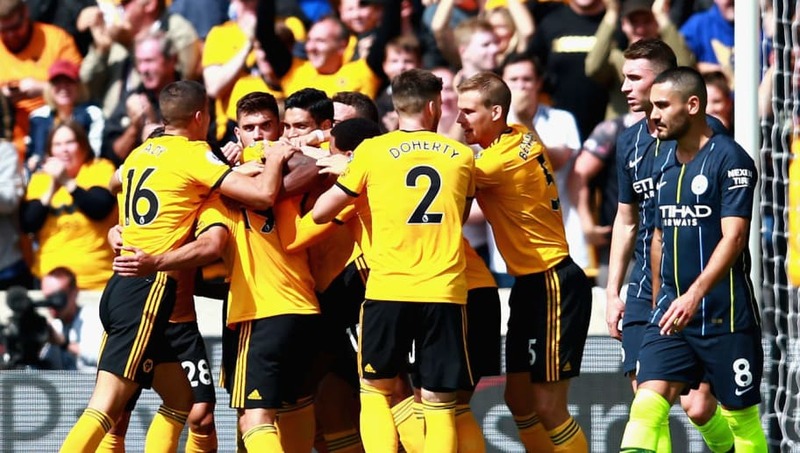 Wolves may just be quietly confident of causing an upset against champions Manchester City at the Etihad on Monday night. 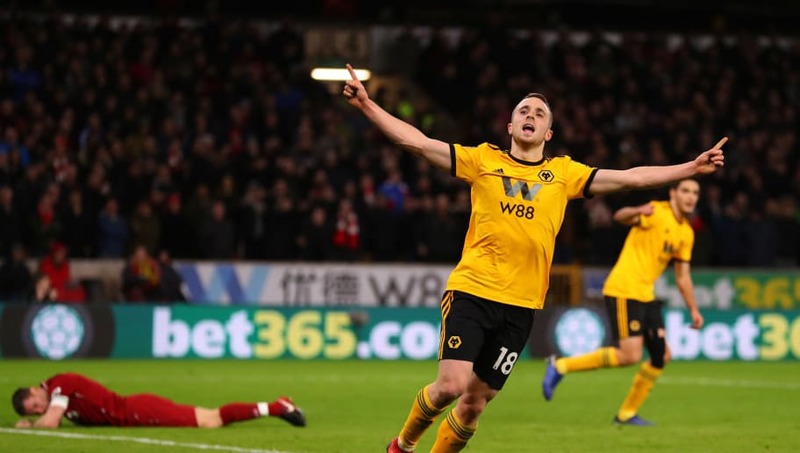 As well as beating Liverpool in the FA Cup third round, Wolves have maintained a fine record against the top six teams this season and drew the reverse fixture against City 1-1 back in August. Here's how Nuno Espirito Santo could line up his team on Monday. Rui Patricio (GK) - Portugal's number one is likely to come back into the team after a good performance from John Ruddy in the FA Cup against Liverpool. Matt Doherty (RWB) - A player who has real attacking ability, Doherty will have to prove he can defend just as well as he attacks on Monday. Ryan Bennet (CB) - Bennett will likely have his hands full all game dealing with City's dangerous front three. A solid game from the Wolves defence is a must if they are to be only the second team this season to get anything from the Etihad. 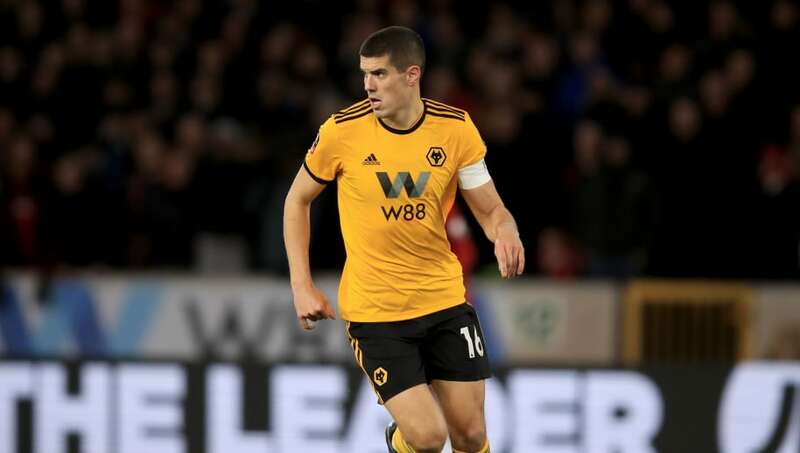 Conor Coady (CB) - One of Wolves' best performing players has the chance to again prove why he is rated so highly when he comes up against some of the best forwards in the league. Willy Boly (CB) - A very strong and physical defender, Boly will need to show he has the speed element in his game against a rapid City attack. Johnny Otto (LWB) - The use of wing-backs has proved successful for Wolves this season. Like Doherty, Spain international Otto may need to be just as capable going backwards as forwards on Monday. 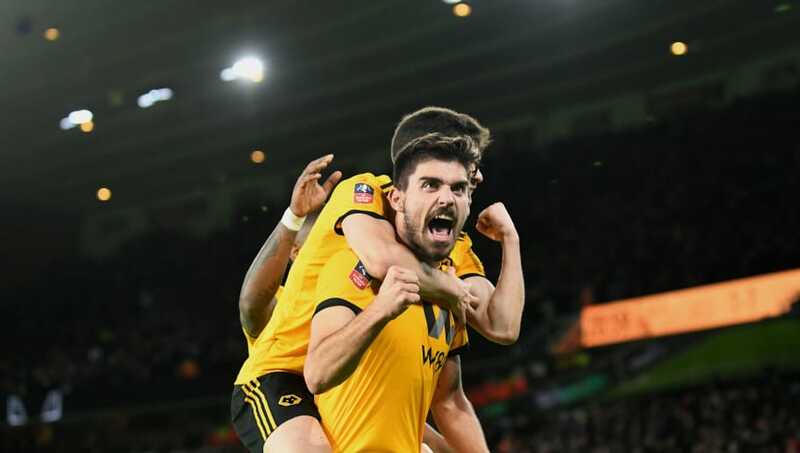 Ruben Neves (CM) - One of the finest young players in the top flight, Neves' screamer which knocked Liverpool out of the FA Cup was his third goal this season. Joao Moutinho (CM) - Moutinho will have the near impossible task of nullifying the threat of David and Bernardo Silva. His aggression in the middle of the park could prove to be the key against the champions. Romain Saiss (DM) - The Wolves boss Nuno will 28-year-old Saiss Romain can be the pivot between the defence and midfield as his side look to utilise the counter attack. Diogo Jota (ST) - 22-year-old Diogo Jota has impressed in patches for Wolves. However, his two goals in back to back fixtures in December remain his only strikes of the season. Raul Jimenez (ST) - The Mexican has been Wolves' main goal threat this season, with six strikes in the league. He has a knack for scoring against the bigger clubs with goals against Liverpool, Tottenham and Chelsea already.